I didn’t 100% need a new bike. The $185 road bike I bought from Amazon in April was fine overall. 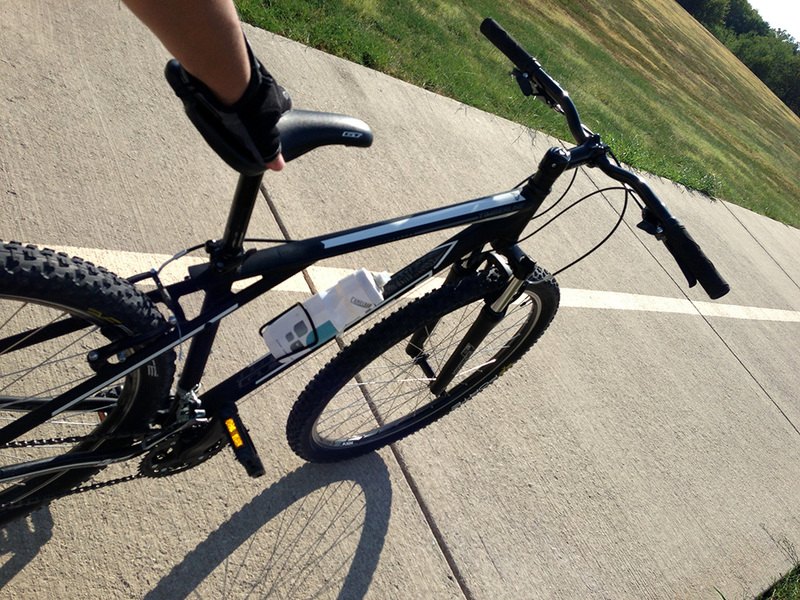 In need of some adjustments, but perfectly ridable and allowing me to get some much needed exercise in. However the more I rode it, the more I felt it was lacking. Felt every little bump in the road, teetering on the edge of a puncture or bent rim. In 4 months ownership, never a case of being stranded or having something go wrong on a ride. I’m not normally this gentle on a bike and wanted something in all frankness I could rough up a little bit and not bat an eye. So I started looking at Mountain Bikes. First on Craigslist. Messaged a few sellers but none of them even so much as responded to my email. Then there’s the concept of caveat emptor. Last thing I want is to spend $200 on a bike and need to spend $100 to fix it or later discover irreversible damage. Next I checked out some of the bigger name bike shops. REI was one in particular. I liked what they offered, but the prices were way too high for my liking and they’re had a rash of bad publicity lately. So I decide to look at some smaller bike shops in the immediate area. They’ve all shut down. I expand my radius and see a few that met my criteria but none were open on a Sunday. Typically no Sunday and no late hours go hand in hand. That’s gonna be a problem. So yeah almost $500 for a bike. The first day I got it I rode 10 miles on it. Weighed myself and down 4 pounds almost lighter. Granted it’s mostly water weight, but if I keep this up the fat will just melt off me. I did puncture the inner tube though to my dismay. So maybe I get to ride again tomorrow if it’s fixed. If not it’s all the gym for me. On top of that, I booked a flight to Las Vegas for November (~$310). It wasn’t my idea but I was pretty much peer pressured into going. This will be my 4th “trip” of the year. The Pennsylvania one for an interview and NY mostly for a baby shower don’t really count in my mind. Going to NY again for a wedding September. Last but not least, life isn’t about just paying off debt. It’s about experiencing the world outside and spending time with people you enjoy, whether they be friends or family. For me too much extreme makes me feel like a slave to money. I literally count every penny and have felt stuck in the house an entire weekend because I didn’t want to spend $50 to do stuff. That’s not healthy and often leads to destructive behavior in the long run.